The CaMS Study Tables provide tutoring services in Mathematics, Computer Science, and Computer Engineering throughout the week. The CaMS Study Tables operate from Room AS107S. For Spring 2019, the hours are Monday, Tuesday, Wednesday, and Thursday 12pm - 5pm, and Friday 11am - 1pm. Please visit the CaMS Study Tables when you need help. Five students and three faculty attended the Indiana MAA Section Meeting April 5-6. Two students presented. Carley Maupin gave a talk, "Impact of time-restricted feeding on digestive health," research she did under the guidance of Dr. Brittany Stephenson. Jackson Hansen presented "Design strategies for modeling Mongolian tent graphs using DNA self-assembly." Two faculty members also presented. Dr. Brittany Stephenson presented, "Comparing intervention strategies for reducing Clostridium difficile transmission: An agent-based modeling study" and Dr. Amanda Harsy presented, "Designing optimal strategies for DNA self-assembly." A special thank you to Dr. Marie Meyer and Dr. Stephenson, and Dr. Harsy for helping arrange and organize the travel logistics for the conference! Four Lewis University students presented at the annual ISMAA Meeting. Senior mathematics major and data science and peace studies double minor, Carly Maupin, co-presented with Sophomore mathematics and computer Science double major, Marco Pettinato. They presented their results from their summer research, "Predictive Modeling and Analysis of Softball Using Linear Algebra-based Ranking Systems." Junior mathematics and computer science double major Eric Redmon presented, "Modeling Crossed-Prism Graphs in Self-Assembling DNA Using Graph Theory and Linear Algebra." Junior mathematics and computer science double major Jackson Hansen presented, "Design Strategies for Modeling Mongolian Tent Graphs using DNA Self-Assembly." Maupin's research was funded by Lewis' SURE program and Hansen and Redmon were funded by Lewis' University's Caterpillar Grant. Hansen and Redmon were both awarded the ISMAA Honorable Mention Outstanding Undergraduate Research Award. 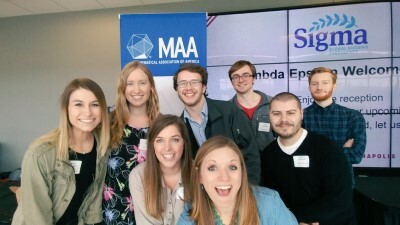 Hansen and Redmon also placed 2nd at the ISMAA Student Contest, a challenging competition in which students work in teams to solve challenging math problems. 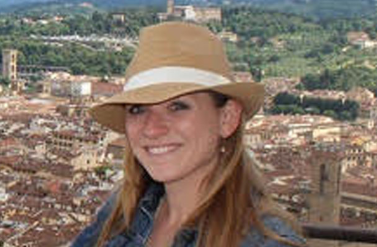 Lewis University faculty member, Dr. Amanda Harsy, also attended the conference as an invited plenary speaker. She presented, "Optimal Design Strategies for Self-Assembling DNA," research funded by both Lewis' SURE and Caterpillar grants. Harsy was also elected to the ISMAA board as Director of Private Colleges. Dr. Amanda Harsy, Assistant Professor of Mathematics, was featured in the online journal Course Hero for her innovative work on mastery-based testing in mathematics. Mastery-based testing is a technique for helping students work through their struggles with mathematics by giving them almost individualized attention. Students are challenged to work through problem sets and demonstrate not that they are able to eke out a certain number of points to get a particular grade, but rather that they have actually mastered the material well enough that they can move on to the next topic. While mastery-based testing requires more work on the professor's part because there is more grading and a fair amount of overhead involved in keeping track of where all the students are at in their progress, Dr. Harsy has seen improvements in student achievement. The article explains how Dr. Harsy applies mastery based testing in a variety of her courses and explains its many advantages. Congratulations to Dr. Harsy for being featured for her innovative teaching methods. 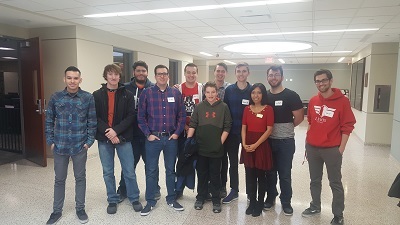 Eight Computer Science students represented Lewis University at the annual State of Illinois Collegiate Cyber Defense Competition on Saturday, February 16. Under the mentorship of Assistant Professor of Computer Science Dr. Jason Perry, the team of students set up services and thwarted attempted attacks for eight hours of intense competition. They configured firewalls, network monitoring and protection tools, email clients and servers, databases, web servers, and other tools typically found on a corporate network, all the while trying to make sure those services kept operating securely against repeated attacks from a team of "red team" hackers. They also had to document their work and present it to the judges to verify that their systems and strategies worked correctly. Thanks to their efforts and skill, the team took home the 3rd Place trophy. For six of these students, including one freshman, this was there first such competition, so placing so well in this state tournament was particularly impressive, and it bodes very well for our future outings. 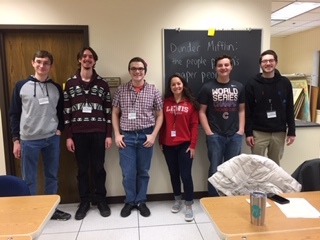 The students who represented Lewis at this year's Illinois CCDC were John Kegaly, Monique Cauty, Mariusz Gil, Ricky Gil, Chastity Logue, Zachary Offerman, Brian White, and Michael Wilson. Congratulations and thanks to these great computer science students and to Dr. Perry. Six CaMS students spent their Saturday working on challenging computer programming puzzles at the annual ACCA programming competition. The students, ranging from freshmen through senior years, worked for eight hours on a variety of programming programs that asked them to write computer code to solve mathematical riddles. Representing Lewis University were Keller Dellinger, Rich Goluszka, Ibrahim Jody, Mackenzie Maierhofer, Eric Redmon, and Tony Rispoli. Dr. Piotr Szczurek was the faculty mentor and worked with the team to prepare them for this fun and challenging event. The Department is very proud of these individuals and looks forward to competing again next year. 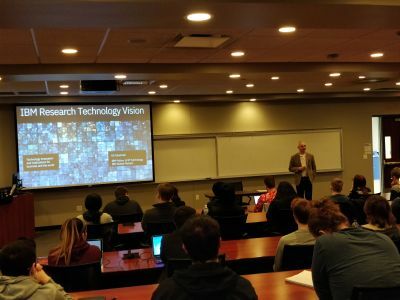 Lewis Kennebrew, Senior Director of Business Process Consulting at ArcherGrey, visited Lewis University on Wednesday, February 6, 2019, to talk with Computer Science and Computer Engineering majors about careers in technical consulting. ArcherGrey is a boutique consulting firm that helps several Fortune 500 firms use Product Lifecycle Management (PLM) software to manage, monitor, and streamline design and manufacturing processes. The firm hires for wide variety of roles, including software developers, project managers, sales representatives, process consultants, system administrators, and, lately, Internet-of-Things (IoT) engineers. When looking for new employs, Lewis said that ArcherGrey seeks out people with strong technical skills who can write and present well and interact professionally with customers. He encouraged students to consider technical consulting as a career pathway because of its many benefits, most notably the opportunity to work in several industries on diverse projects with myriad cutting-edge problems and solutions. 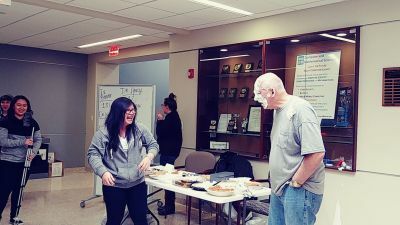 Fifteen students attended the event, which was co-sponsored by the Lewis University IEEE Student Chapter and was proceeded by a pizza party, which is always a good time. We are grateful to Lewis Kennebrew and also to Jack Schroeder, Lewis alumnus and Managing Partner at ArcherGrey, who also serves on our Advisory Committee for the Department. Lewis gave a great presentation, and it seemed that students left the talk stoked to learn more about becoming a technical consultant. Several students and faculty from CaMS attended the 2019 Joint Mathematics Meeting January 16-19 in Baltimore, Maryland. The event, which is sponsored by the American Mathematical Society and the Mathematical Association of America, brings together the largest group of mathematicians of any math conference in the United States to share mathematics research. Under Dr. Amanda Harsy's leadership, Lewis started sending students and faculty to the event a few years ago. This has given our students and faculty valuable opportunities to present their research work. 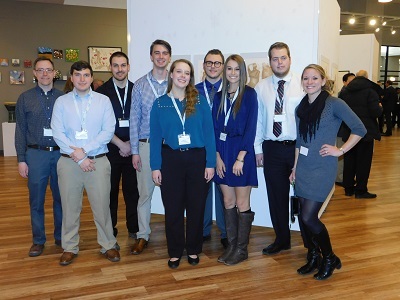 This year, eight Lewis University students presented their research at JMM. 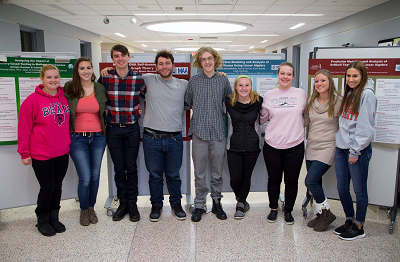 Seven of the students presented research they conducted under the guidance of Dr. Harsy. All of these projects relate to using programming and graph theoretical methods to model DNA self-assembly for designing nanostructures. The first research group, Seniors Nick Soto and Simon Merheb presented “Using Graph Theory to Design Optimal Strategies for DNA Self-Assembly” during the MAA Student Poster Session. Nick, a computer science major and math minor, and Simon, a computer engineering major and math minor, created designs for Book and Stack Book graphs. The second research group, Lauren Gernes, Alvi Renzyl Cortes, and Eric Redmon, presented “Modeling Cross-Prism and Petersen Graph Families in Self-Assembling DNA Using Graph Theory and Linear Algebra" at the MAA Student Poster Session. Lauren, a sophomore mathematics major, Alvi Renzyl, a senior biology major, and Eric Redmon, a junior mathematics and computer science double major, found design strategies for Cross-Prism and Petersen graph families. The third research group, juniors Jackson Hansen and Tyler Starkus presented "Design Strategies for Modeling Ladder-based Graphs Using DNA Self-Assembly” at the MAA Student Poster Session. Jackson, a mathematics and computer science double major, and Tyler a computer science major and mathematics minor, explored ladder and Mongolian Tent graphs. Additionally, Carley Maupin, a senior mathematics major and peace studies and data science double minor, and Eric Redmon presented research they did through Summer REU programs at the MAA Student Poster Session. Carley presented, "Intelligently Segmenting the Long Tail” which details research she completed during her 2018 Summer REU at Washington University. It was named one of the Outstanding Posters for her research discipline. Eric's second poster presentation, "Packing Patterns in Words" outlines research he did through Valparaiso University's VERUM (Valparaiso Experience in Research by Undergraduate Mathematicians) program. Congratulations to these excellent students and faculty! Scott Likens, 1996 Lewis University Computer Science alumnus and New Services and Emerging Technology Leader at PwC, came to campus on October 24, 2018, to give a talk entitled "The New Tech Future is Here: How 8 Technologies Will Revolutionize What's Next". Scott helps create and foster a vision for PwC to create and use innovative technology for their clients' work around the globe. Having advanced the use of technologies such as robotics, artificial intelligence, drones, and blockchain in projects in the United States, China, and Japan, Scott shared his perspectives on the growing impact of data science and machine learning on how we live, work, and play. Several students and faculty attended the presentation and asked excellent questions about Scott's takes on where the next new breakthroughs will occur. After the presentation, Scott met with CaMS faculty and deans to discuss how we could better prepare students for today's and tomorrow's innovations. Scott is a generous supporter of the University, having funded a large portion of Lewis's first high-performance compute node in honor of his dad, Thomas Likens. We thank Scott for his generosity and the time he took to share his expertise and vision with us. 7 CaMS students and 4 faculty members went to the Fall ACCA talks as part of a Lewis Math Club field trip. Five of the students were inducted into the math honors society Pi Mu Epsilon: Jake Kerschner, math and secondary Ed major, Jackson Hansen, math and computer science major, Kevin Gannon, math and computer science major, John Laschober, math and computer science major, and Tyler Starkus, computer science major and math minor. The talks were given by Professor Rick Gillman from Valparaiso University. His first talk, “Why Do Left-Handed People Survive?” explored the question of why people are predominately right-handed, a trait shared by few other species. It answered the title question by considering the cultural, biological, and genetic explanations for our left-handedness. Two evolutionary game theoretic models are offered to explain why it may have been advantageous (from an evolutionary perspective) to have a f raction of the population be left-handed. His second talk, “How to Find (and Keep) Neighbors” explored the implications of our natural instinct to be around other people ‘like ourselves.’ In a major work, Schelling (1971) investigated the equilibrium states possible in bi-cultural housing environments. Young (2001) extended this work by identifying those equilibrium states which are also stochastically stable. Undergraduate students at Valparaiso University (2009, 2011) extended these results to multi-cultural environments. The new results have applications from describing the formation of high school cliques, to the American political landscape, to the stability of post-civil war Libya. 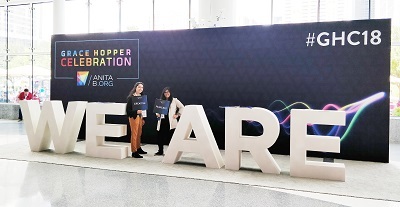 Andrea Ecarma, a Senior Computer Science major, and Mariana Hernandez, a junior Computer Engineering Major, attended the annual Grace Hopper Celebration in Houston, Texas. The event, which brings together women technologists from around the world, celebrates women's profound influence on computing and explores ways to increase their participation in the computing disciplines today. The event is sponsored by ACM. Andrea's and Mariana's attendance was funded by the generosity of our department's donors. Both Andrea and Mariana have been very involved in the department's activities, including helping with our Girls Create with Technology, which encourages girls in middle school and high school to learn more about the exciting world of computer science and computer engineering. It is wonderful that Andrea and Mariana took the initiative to attend an event that helps advance one of the most important causes in computing today. Several faculty and students from the Department of Computer and Mathematical Sciences presented the research they did this summer as part of the STEM Undergraduate Research Experience (SURE) program. Computer Science major Kevin Gannon used data science techniques to predict NCAA golf tournament performance in a project he did with Dr. Amanda Harsy called "Predictive Modeling and Analysis of Golf Using the Massey Method." Keller Dellinger, a double-major in Computer Science and Computer Engineering, worked with Dr. Piotr Szczurek on "Supervised Machine Learning Based on Optimal Traffic Flows", which sought to model learning in terms of vehicle traffic patterns. Math major Jonathan Nelson worked with Dr. David Failing on a project called "Generalized Bol-Moufang Groupoids", which focused on proving certain categories of identies automatically. Ryan Meeker, a Computer Science major focusing on cybersecurity, presented a project he did with Dr. Jason Perry entitled "Parallelizing Leakage-Abuse Attacks Against Searchable Encryption", which explored ways to speed up laborious process of breaking cryptographic protections on searchable data. Chandler Stimpert, a math major, worked with Dr. Harsy on a project with biological applications entitled "Graph Theoretical Design Strategies for Modeling self-Assembling DNA. Finally, Rob Izzo, an Applied Physics major and Computer Science minor, worked with Computer Engineering professor Dr. Paul Kim on "Automation of Microvascular Blood Flow Measurement in the Human Conjunctiva for Noninvasive Diagnosis of Cardiac Disorders," which aims to give doctors a reliable tool for diagnosing cardiovascular and stroke-related issues. The students and their faculty mentors did fantastic work this summer, and they presented their findings expertly. They SURE program, which is supported by the University and a number of generous donations, gives undergraduates and their faculty mentors a unique opportunity to explore their academic interests more deeply and in a more open-ended way. We are proud of our students and faculty who worked so productively this summer as part of SURE. 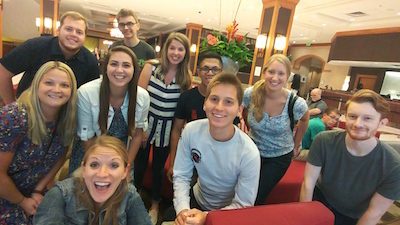 Seven Lewis University and Computer and Mathematical Sciences Majors presented at the 2018 MAA MathFest in Denver, Colorado August 1-4. This conference is the second largest annual mathematics meetings in the world. Christy Carlson, Math and Secondary Education Major, presented her research, "Does Mastery-based Testing Encourage a Growth Mindset: A Preliminary Analysis of the Impact of MBT on the Growth Mindset and Attitudes of Students." Math and Secondary Education Major and Noyce Scholar, Lauren Klamerus, presented her research, "Does Mastery-based Testing Help with Test Anxiety: A Preliminary Analysis of the Impact of MBT on Student Anxiety Levels." Brandon Joutras, Computer Science Major concentrating in Data Science and Math Minor, and Adrian Siwy, Computer Engineering Major minoring in mathematics and physics, each presented a two-part talk, "Predictive Modeling and Analysis of Golf Using the Massey Method and Artificial Intelligence Part 1 & 2." 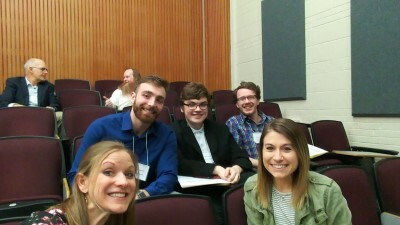 Carlson, Klamerus, Joutras, and Siwy all presented at the Pi-Mu-Epsilon Student Paper Session. Senior Computer Science and Mathematics double major, Kevin Gannon, presented his talk, "Predictive Modeling and Analysis of Golf Using the Massey Method" at the MAA Undergraduate Student Paper Session. Hector Dondiego, sophomore Computer Science Major,and Chandler Stimpert, senior Mathematics Major with an Economics and Spanish double minor, co-presented both a talk and a poster on the research they did over the past summer. Their poster presentation, "Using Graph Theory to Design Optimal Strategies for DNA Self-Assembly," was a part of the MAA MathFest General Contributed Poster Session while their talk, "Graph Theoretical Design Strategies for Modeling Self-Assembling DNA," was presented at the MAA Undergraduate Student Paper Session. Gannon and Stimpert's research was completed and supported as part of the Lewis University SURE (Summer Undergraduate Research Experience) program. Dondiego's research was funded by Lewis University's Caterpillar Grant. Juan has done an outstanding job this summer working on this and other projects, and Jay is quite impressed with Juan's creativity, productivity, and professionalism. Argonne hires several CaMS students as interns, and has done so for many years. We are grateful to them for giving so many of ours students an opportunity to apply what they've learned in the classroom to real-world, meaningful projects. Congratulations to Juan Dasco on doing such excellent work this summer. The Girls Create With Technology program held its annual summer camp June 18th through June 21st, 2018. The camp, which was created and taught by Dr. Cindy Howard, Associate Professor of Computer Science, aims to introduce Middle School and High School girls to the fascinating and fast-changing field of computer science. Dr. Howard and students from the Department of Computer and Mathematical Sciences helped the girls write computer programs, solve cyber security problems, and create robots from craft materials. The girls programmed their robots to move and respond to their environment using a Hummingbird Microcontroller, motors, servos, and sensors. Thirty girls participated in the four-day camp. The camp is the cornerstone of the Department's efforts to attract more females to one of today's most important and dynamic Fields. The camp was funded through generous donations from Caterpillar, PPG, Arco/Murray Construction, and Ecolab. The Girls Create With Technology program runs year-round, with several Saturday-morning workshops offered throughout the academic year. Follow Girls Create with technology on Facebook to stay informed about all the events this wonderful program has in store. 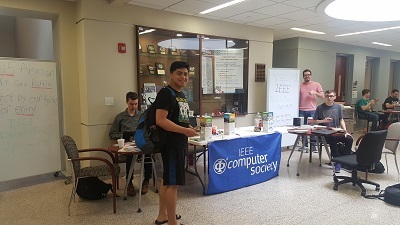 Lewis University's Student Chapter of the IEEE sponsored a Build-a-Thon event in the Department of Computer and Mathematical Sciences hallway on Thursday, May 3. They demonstrated arduinos, robotics, sensors, and 3D printing to passers-by. The event was sponsored by the IEEE EMC Society Chicago Chapter, which also donated a $25 gift card as a raffle prize. The IEEE, which stands for the Institute of Electrical and Electronics Engineers, sponsors research and industry innovation in Computer Engineering, Computer Science, and Electrical Engineering worldwide. Our own student chapter regularly hosts events to show the rest of the campus how fun and creative these very important fields are. The Chapter is open to majors from all departments who are interested in these fields as a profession or as a hobby. For more information, please contact Dr. Gina Martinez, Director of Computer Engineering and faculty lead for our IEEE Student Chapter. 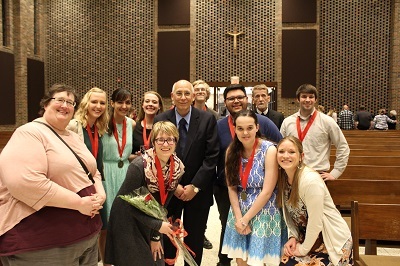 CaMS is pleased to announce soon-to-be-graduating seniors who were recognized at the College of Arts and Sciences Senior Honors Convocation for having cumulative GPAs of at least 3.5 out of 4. Graduating Computer Science majors who achieved this distinction are Joseph Brzoska, Kevin J. Curtis, Jordan C. Elmer, Thomas Ficek Jr., Yesenia Gonzalez-Navarro, Mark J. Horeni, Brandon W. Joutras, Marissa L. Koronkiewicz, Michael A. Pedzimaz, Cassandra M. Pierson, Jenna M. Rolowicz, Kyle A. Ruiter, Quinn G. Stratton, and Joseph L. Van Luyk. 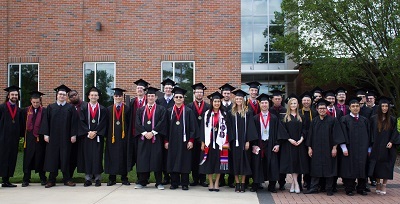 Graduating Mathematics Majors who achieved this distinction are Rachel Aubart, Gail T. Bragg, Joe Garcia, Mark J. Horeni, Bailey A. McAlister, Hannah M. Schultz, Rachel E. Seiberlich, Bradford J. Smith, Quinn G. Stratton (double-major), and Joseph L. Van Luyk (double-major). The Departmental Award, awarded by the Department's faculty to one outstanding student in each discipline, went to Marissa Koronkiewicz in Computer Science and Quinn Stratton in Mathematics. Congratulations to these outstanding seniors! 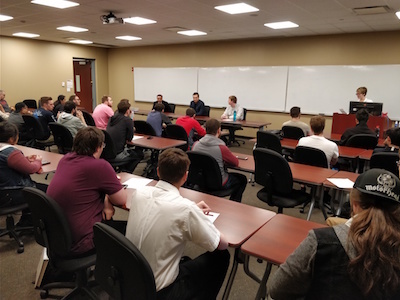 The Math Club sponsored a great event on Thursday, April 26, 2018: a career panel for Computer and Mathematical Sciences. A panel of three professionals shared their careers, their typical day, and their keys to success with students and faculty of the CaMS Department. Dr. Bo Xu, a data scientist with HERE Technologies and an adjunct instructor at Lewis, Robert Dudasik, a software developer at Argonne National Laboratory and a Lewis Computer Science alumnus, and Michael Smith, a mathematics instructor, Lewis mathematics alumnus, and soon-to-be graduate of NIU's graduate program in Mathematics, fielded questions from students and faculty for an hour. It was a wonderful opportunity for students to learn what to expect when they take the next big step in their lives. Dr. Xu encouraged students to combine their computer science coursework with a solid background in statistics. Robert underscored the importance of taking notes, writing well, and presenting yourself well at every opportunity. Michael praised the opportunities graduate school has given him to deepen his problem-solving skills and tackle unfamiliar challenges. Our always innovative Math Club sponsored the event, which drew a diverse and large group of students from across the department. Much thanks to the panelists and to the Math Club for organizing this great event. 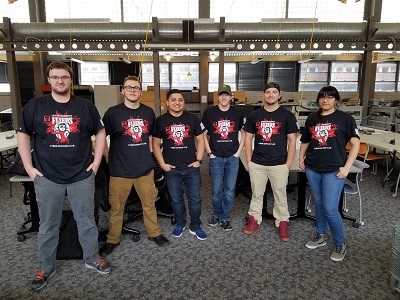 Six Computer Science majors from Lewis University took First Place at the Department of Energy's 2018 National Cyber Defense Competition on April 7, 2018. The students, who are part of the student-run CaMS Cyber Defense Group sponsored by the Department of Computer and Mathematical Sciences, worked on setting up, troubleshooting, and protecting cyber-physical systems associated with critical infrastructures. They beat 28 other teams from around the country to win the competition. The students have been training since September and have participated in a variety of other cyber defense competitions, including the Illinois Collegiate Cyber Defense competition in February and Iowa State National Cyber Defense Competition in March. They are led by faculty moderator Dr. Jason Perry, Assistant Professor of Computer and Mathematical Sciences, who helps make sure the team members have the equipment, resources, and space they need to train. One of the best things about this group is the camaraderie they have developed pursuing and complementing each other's interests in cyber security as they extend what they've learned in their computer science coursework to new challenges. Their success also demonstrates how the problem-solving skills, critical thinking skills, and deeply technical content of a computer science education equip students to tackle a wide variety of complicated but important problems. Congratulations to Joey Casalino, Gabriel Diaz DeLeon, Johny Kegaly, Ryan Meeker, Brandon White, and Brian White on an exceptional job. We are very proud of you. 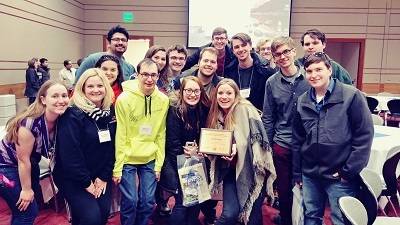 Fifteen Lewis University students attended the 2018 MAA IL-IN-MI Tri-State Conference at Valparaiso University on March 23-24th. 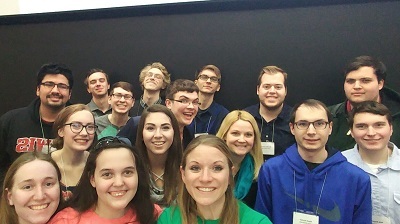 All students participated in the Intersectional College Math Competition and 7 students presented talks on the research they did under the mentorship of Dr. Amanda Harsy, Assistant Professor of Mathematics. Quinn Stratton (Senior double major in Mathematics and Computer Science) and Keller Dellinger (Junior double major in Computer Engineering and Computer Science) presented their talk entitled, "Modeling DNA SelfAssembly Using Graph Theory, Linear Algebra, and Programming." Junior Math Education Majors, Christina Carlson and Lauren Klamerus (also a Noyce Scholar) presented their research, "Analyzing and Comparing the Impact of Mastery-based Testing to Traditional Testing in Mathematics Courses." Brandon Joutras (Senior Computer Science Major and Math Minor) and Adrian Siwy (Junior Computer Engineering Major and Math Minor) presented their research, "Using Artificial Intelligence and Linear Algebra Methods to Improve Predictive Modeling and Analysis of Sports Data." And finally, Heather Ray (Senior Physics Major and Math and Computer Science Minor) presented her Lewis Scholar's Program research project, " Graph Theoretical Design Strategies for Modeling Self-Assembling DNA." We are very proud of the hard work and enthusiasm these Lewis students brought to this conference. Congratulations to all who participated! 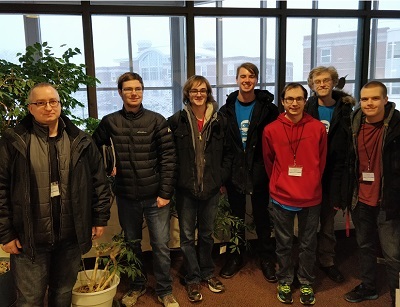 Members of the CaMS Cyber Defense Group competed in the 2018 National Cyber Defense Competition (NCDC) at Iowa State University on March 23 and 24. The team of Computer Science majors, who are mentored by Dr. Jason Perry, took 7th place out of a field of 20 teams that included several much larger universities. Students Matt Ratajczyk, Ryan Meeker, Gabriel Diaz DeLeon, Ian Stickfort, Dan Szuba, and Yesenia Gonzalez did quite well setting up and securing a variety of computer systems and networks against attacks from the competition's aggressive Red Team of hackers. 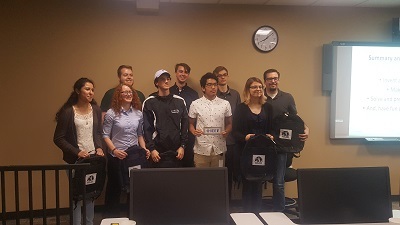 We are proud of the group for what they accomplished at the NCDC, and we are also very happy that for two of the team members - Matt and Yesenia - this was their very first cyber competition. 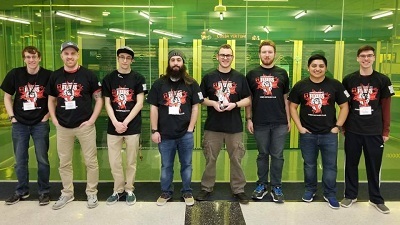 In February, a team that included Ryan, Ian, Gabriel, and other members of the Cyber Defense Group placed third at the State of Illinois Collegiate Cyber Defense Competition. The group has become large and talented enough to offer competition and training opportunities to many students. The group's next competition will be the Department of Energy's Cyber Defense Competition at Argonne National Laboratory on April 7. Congratulations and good luck to our Cyber Defense Group. Dr. Amanda Harsy, Assistant Professor and Director of Mathematics, won the Early Career Teaching Award from the Illinois Chapter of the Mathematics Association of America (MAA). She received the award at the 2018 Trisection Meeting of the Illinois, Indiana, and Michigan Sections of the MAA, which she attended with 15 students, seven of whom are presenting research they did under her guidance. The prestigious award recognizes outstanding achievement and promising potential in teaching mathematics. It perceives teaching not solely as a classroom experience, but one that emphasizes and celebrates the mathematical connections in our world through scholarly exploration, the kinds of activities Dr. Harsy's students in attendance are doing. It also recognizes those who have an impact on mathematics education beyond their academic institution. Indeed, as a leading founder of the Southwest Chicago Math Teachers' Circle, a forum for mathematics teachers at all levels to exchange strategies and best practices for teaching mathematics, Dr. Harsy has helped elevate the teaching of mathematics throughout the Chicagoland region. Lewis University is very proud of Dr. Harsy for winning this worthy recognition. The students of the Department of Computer and Mathematical Sciences are clearly fortunate to have her as a teacher and mentor. Eight CaMS students won the prestigious Fifty for the Future honor from the Illinois Technology Foundation (ITF). The annual award recognizes fifty of the most promising students in computing-related disciplines in the State of Illinois. 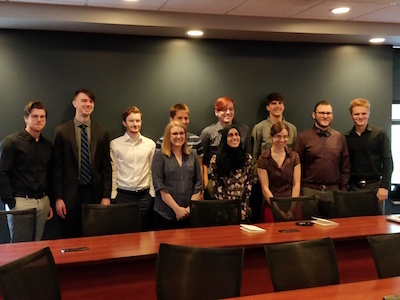 This year's recipients from the Department of Computer and Mathematical Sciences are Nilly Albeitoni, Nicholas Biegel, Ethan Blatti, Keller Dellinger, Brandon Joutras, Marissa Koronkiewicz, Carley Maupin, and Ryan Meeker. 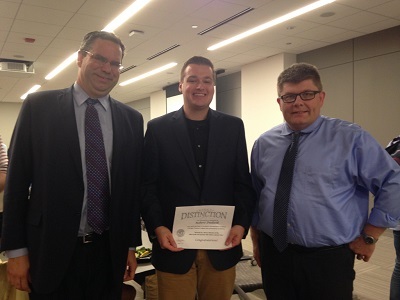 Dr. Amanda Harsy and Dr. Jason Perry attended the award ceremony in downtown Chicago to cheer on the students. These students were judged by ITF's panel of computer technology professionals as striking a balance of academic achievement, teamwork, volunteerism, innovation, and leadership that will enable them to contribute profoundly to the companies who will hire them. CaMS is very proud to have so many awardees once again this year. Congratulations to these outstanding students. The Math Club led the Department's annual celebration of Pi Day by coordinating and staffing a pie sale. With the help of Administrative Assistant Christine Morrow's baking skills and the guidance of Dr. Harsy, the students were able to raise over $500 this year. Hungry passers-by bought slices of pie for the right to vote for a particular faculty or staff member to get a pie in the face. At 3:14 pm, students and faculty gathered to watch this year's "winner", Dr. Steve Berger, get pie'd surprisingly enthusiastically by junior Computer Science major Andrea Ecarma. As usual, it was an enjoyable event, particularly for those of us who avoided winning the popular vote. 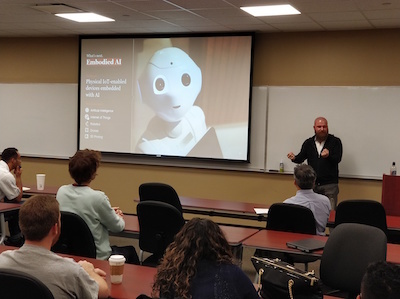 Lewis University alumnus Ed Calusinski, Research Fellow and Vice-President of Technology at IBM, gave an exciting talk on campus entitled "IBM: A History of Computing Innovation and a Pathway to the Future" to a capacity crowd on Monday, March 12. Ed, who is a member of the Computer and Mathematical Sciences Advisory Board, also met with several CaMS faculty that day to discuss their research initiatives and provide advice. In his talk, Ed thoroughly engaged the crowd with his vision of a future in which machines think and uncover new knowledge on their own. This will help us automate and improve numerous tasks that currently burden our modern lives, freeing us to tackle more pressing problems that required human attention and insights. He described how artificial intelligence has evolved from helping solve trivial problems to helping shape fields as diverse as fashion, cooking, and movie-making. IBM's Watson platform has pushed AI in creative and breathtaking directions. So much of Watson's power comes from its ability to ingest and analyze the unprecedented quantity of data our device-rich society captures and communicates. There are, of course, privacy issues to address when it comes to accessing and using this data to drive AI and machine learning, and IBM is also working on technological solutions to protect privacy, including algorithms for interpreting data without having to decrypt it so that it remains permanently in its encrypted state. Ed painted an exciting picture of the future Computer Scientists and Computer Engineers are helping create as they partner with experts in virtually every field. We appreciate Ed's dedication to CaMS, including the fact that he spent an entire day with us sharing his expertise and vision. Five students and two faculty from CaMS attended the Spring ACCA Math Talks and Pi Mu Epsilon (PME) Math Honors Society Induction. CaMS students Carley Maupin (Math), Gail Bragg (Math), Jackson Hansen (Math / Computer Science), Mariana Hernandez (Computer Engineering), and Jesse Hoffmeyer (Computer Engineering) attended the talks along with Professor Margaret Juraco and Dr. Amanda Harsy. Dr. Russ Howard of Westmont College gave two interesting talks, "RAM and Recursion" and "How to Pack a Suitcase." During the event, Carley Maupin was inducted into PME. Congratulations to Carley, and thanks to all who attended. 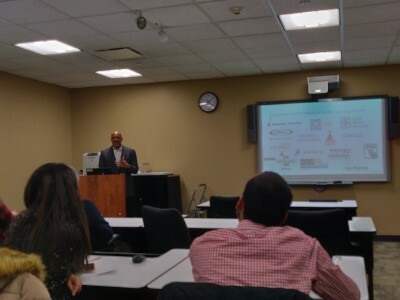 Lewis University's student chapter of the IEEE hosted the Chicago section of the IEEE EMC Society for its meeting on campus on Tuesday, February 20, 2018. The EMC Society focuses on design challenges related to electromagnetic compatibility and interference. The Chicago section engages professionals in the Chicago area who address issues related to electromagnetic interference caused by a variety of equipment. During the meeting, EMC expert Roy Leventhal gave a student-friendly talk on what a career path in engineering entails: the need for flexibility, the value of lifelong learning, the willingess to accept new opportunities as chances to advance in unforeseen ways, and the need to embrace change. The Chicago section was very generous to students who attended, raffling off several prizes and pledging a monetary donation to our student chapter. CaMS and the IEEE student chapter were quite honored to host this distinguished group. Thanks to Dr. Gina Martinez for helping organize it. 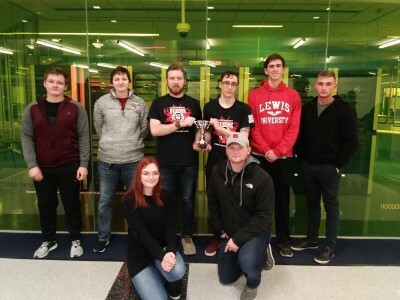 For the second year in a row, Computer Science students from Lewis University placed third at the annual Illinois Collegiate Cyber Defense Competition. This year, teams from eleven schools competed over eight hours to set up computer systems and services and keep them secure against an aggressive "red team" aiming to steal their data and disrupt their infrastructure. For the second year in a row, Lewis's Computer Science team brought home the third-place trophy. This year's team consisted of Ian Stickfort, Brandon White, Brian White, Cody Cosentino, Ryan Meeker, Johnny Kegaly, Gabe Diaz DeLeon, and Tyler Starkus. 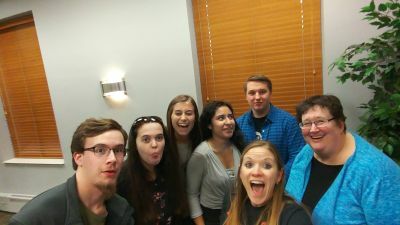 The team members participate in the Department of Computer and Mathematical Science's Cyber Defense Club, a student-run group that meets on Tuesday and Thursday afternoons to apply and extend what they learn in the classroom to set up servers, hosts, and the networks that connect them. The Cyber Defense Club is mentored by Dr. Jason Perry, Assistant Professor of Computer and Mathematical Sciences, and its student leader is Joey Casalino, a graduate student in the Master of Science in Computer Science program. The CaMS Department is extremely proud of these students for what they continue to accomplish, we are looking forward to their next competition, and we are grateful that the future of cyber security seems to be in good hands with soon-to-be professionals like these. Six Lewis students represented the Department of Computer and Mathematical Sciences at the 2018 ACCA Programming Competition. The students worked on eight programming problems over four hours on February 17, 2018. Our students were split into two teams. The Novice Team, which includes students in their first or second semester of Computer Science coursework, consisted of Keller Dellinger and Dayne Hultman. The Advanced Team, for students beyond their second semester of Computer Science coursework, included Mark Horeni, Quinn Stratton, James Klein, and John Laschober. Dr. Piotr Szczurek, Associate Professor of Computer Science, once again served as faculty mentor this year, helping the students prepare for the competition by going over problems and problem-solving strategies with them. The teams placed in the middle of the pack in the respective categories this year, successfully solving multiple problems and coming close on others. The Department is proud of these students for participating this year and is grateful that they spent time preparing for the competition and then working so diligently for most of a Saturday. Thank you for your dedication and for sharing your time and talents. Professor Eric Spangler and a team of Computer Science students recently installed the CaMS NetLabs Facility. NetLabs is a computing platform that provides remote access to laboratory experiences in computer science. Remote labs have been tricky, particularly when it comes to the networking and cyber security sides of computer science, because students have needed access to the hardware. But Netlabs makes it possible for students to interact with real networking appliances almost as if they were there. And, because the lab experiments can be dynamically reconfigured, Netlabs allows us to have separate setups for every course that can be rapidly set up, torn down, and replaced with another course's lab needs. The students and Prof. Spangler spent a good chunk of Christmas break ordering, installing, and configuring the environment. Prof. Spangler took the lead and purposely got the students involved throughout. A firm believer in hands-on learning, Prof. Spangler made this fast-paced setup an extremely memorable learning experience. You can't get more real-world than setting up a complicated computer system on a tight schedule. Last year, CaMS became a Cisco Networking Academy. It offers courses that prepare students to take the exams that lead to the CCNA certification. Having Netlabs in the Department means we can now offer that Cisco coursework (CPSC 28100 through CPSC 28400) both on-campus and online. It also opens the door to other Cisco certifications in the future. Plus, we have since become a Palo Alto Academy, which means we can start preparing students to work with that vendor's technology, too. We also hope to offer Netlabs to staff in Lewis's Office of Technology to help fulfill their ongoing training needs. The CaMS Netlabs Facility was funded, in part, by the generosity of our donors, including the CaMS Advisory Committee. Thanks to that support, and, in particular, Prof. Spangler's expertise and tireless efforts working with the students over break and at the beginning of the semester, CaMS students and faculty now enjoy a top-notch, modern, thoroughly flexible training platform for teaching all sorts of topics in Computer Science both on campus and from afar. This is a great addition to the department that will directly benefit students. 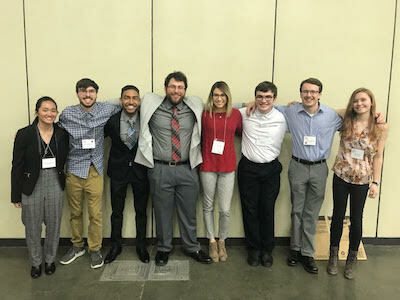 Several Lewis University students presented research they did with Dr. Amanda Harsy at the 2018 Joint Mathematics Meetings in San Diego, California, January 10 through 13. Quinn Stratton, Keller Dellinger, Simon Merheb, and Audrey Pearson modeled DNA self-assembly using graph theory. Carley Maupin, Marissa Koronkiewicz, Hannah Schultz, and Austin Buente used linear algebra to do predictive modeling of sports ranking systems. Christy Carlson and Lauren Klamerus studied the impacts of Mastery-Based Testing on mathematics teaching and learning. 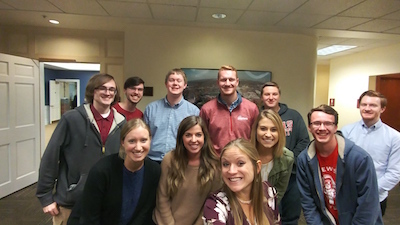 All of these students worked under the guidance of Dr. Harsy, who also presented her work on predictive analytics in sports and on the effectiveness of sharing pedagogy through Math Teachers Circles. You can read more about their research and experience here. Congratulations to the students and Dr. Harsy for achieving excellence in undergraduate mathematics research. December 2017 graduate Robert Dudasik, who is double-majoring in Computer Science and Computer Engineering, won the Departmental Awards in both degrees for Fall 2017. He received his awards at the College of Arts and Sciences Senior Awards Ceremony on December 5, 2017. Dr. Gina Martinez, Assistant Professor and Director of the Computer Engineering program, presented Robert these two well-deserved accolades. Robert has had an energetic and influential presence in the departmental since he came here four years ago. He has always carried himself professionally, and he treats everyone he meets with respect. Despite his great achievements as a student, he is humble, always willing to listen, and readily welcomes advice in his quest to learn. He has left a lasting impact on the Department by creating and leading our new IEEE Student Chapter with Dr. Martinez. Several other students will graduate with honors this Fall: Nilly Albeitoni, Franscisco Cano, Marc Cerda, Alison Cross, Robert Fosen, Mylene Haus, Stephanie Henderson, Ray Alan Palangan, and Francisco Rodriguez. These students have done great things during their time with us, and we look forward to witnessing their accomplishments as their careers unfold. Congratulations to Robert and to all our Fall 2017 graduates. 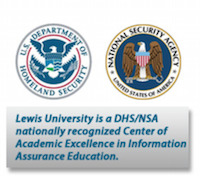 Thank you for studying Computer Engineering, Computer Science, and Math at Lewis University. 8 CaMS majors attended the ACCA Math Talks on November 15th. During this meeting, all 8 students were inducted into the Mathematical Honor Society Pi Mu Epsilon at this meeting. Dr. Mimi Boutin, Associate Professor of Electrical and Computer Engineering at Purdue University gave two exciting talks. One was about how you can use numerical methods to derive nutrition information using numerical methods and the other was how to use invariant representations for object recognition and symmetry detection of signs in other languages. 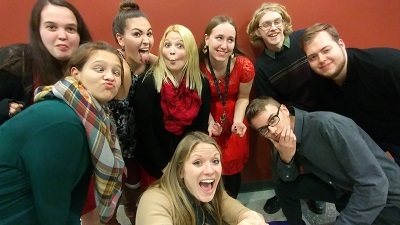 The students honored and inducted in the PME were Rachel Aubart, Gail Bragg, Christy Carlson, Marissa Henkel, Brandon Joutras, Lauren Klamerus, Adrian Siwy, and Quinn Stratton. The Lewis IEEE Student Chapter hosted a Make-a-Thon on October 21st and 22nd. 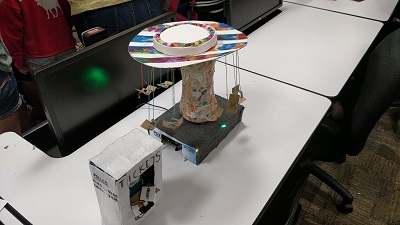 During the 24-hour event, students worked in teams and designed, built, and programmed an electronic device that performed a particular function. One team built a Morse Code Translator. Another team built a mock lunar lander. Another team built a video game and controller. Several Computer Engineering, Computer Science, and Physics students presented, Lewis alumnus Brian Wilhelm gave a guest presentation on how to design and build custom electric guitars. Lewis alumnus Matt Kwiatkowski presented a talk on how to design and build model light sabers. Lewis Physics professor Dr. Phil Chumbley gave a talk on using Arduino circuits to build electronic gadgets. A representative from the Fox Valley IEEE Chapter visited the event and served as a guest judge. Ethan Blatti and Keller Dellinger won first place with their game "Lunar Lander". Mariana Hernandez, Jesse Hoffmeyer, and Jackson Hansen won second place with their "Morse Code Decoder" project. Third place went to Dave Gagnon, who made an LED light show. Congratulations to the IEEE Student Chapter for sponsoring an outstanding event. 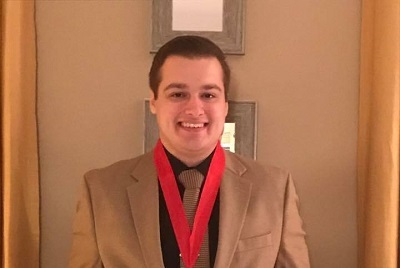 Robert Dudasik, a senior double-majoring in Computer Science and Computer Engineering, won one of two $3,500 scholarships offered by ISACA-Chicago. ISACA is an international professional organization focused on the security of information systems. Robert, who is founding President of Lewis' IEEE Chapter and has been involved in a number of other activities in the Computer and Mathematical Sciences Department at Lewis, was awarded one of the Chicago Chapter's most prestigious awards based on his academic achievement, involvement in activities, and potential for future impact on the field of cyber security. 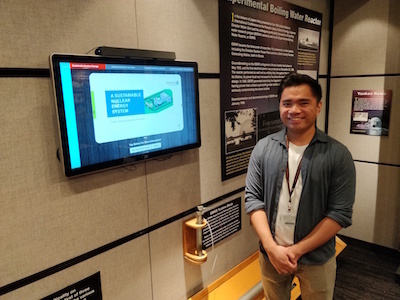 Robert, who has worked as an intern at Argonne National Laboratory for a number of semesters, has taken full advantage of his time at Lewis, majoring in two of the University's most challenging and most cutting-edge programs. Congratulations to Robert Dudasik for this outstanding achievement. The Department of Computer and Mathematical Sciences is proud of the graduating class of 2017. A record number of undergraduate math and computer science majors graduated on May 21, 2017. In all, 63 math and compsci majors graduate on Sunday (with about 20 graduate students in the Master of Science in Information Security, Master of Science in Data Science, and Master of Science in Computer Science graduating the day before). This was the largest graduating class in CaMS's history. By comparison, the number of undergraduate students who graduated this weekend is greater than the entire number of students in the department 7 years ago. We will miss these wonderful people who have helped make CaMS such a great place to learn and work. Congratulations, graduates, and good luck! Welcome to the home page of Lewis University Department of Computer and Mathematical Sciences(CaMS). These are exciting times to be a Math or Computer Science major, particularly at Lewis. Every day, new technologies are being developed that were created by computer scientists like our students. Some of these technologies may fundamentally change how we work, play, and communicate. And all of these technologies function based on the laws of math. Few other majors can boast the opportunity to transform the world the way Computer Science can, and few other majors enable you to understand those transformative forces the way Mathematics can. At Lewis, we are looking for ways to bring that potential to fruition, preparing students to be tomorrow's computer innovators and problem solvers.